These great pieces are made from urethane foam encased in an easy-to-clean, reinforced vinyl cover. 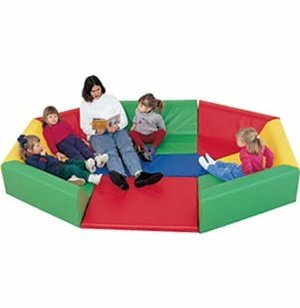 The big colorful pieces are very "kid-friendly" and provide the perfect settings for active play as well as individual or group seating. Perfect additions to any preschool, nursery or day care center! Includes nine pieces in 4 different colors. 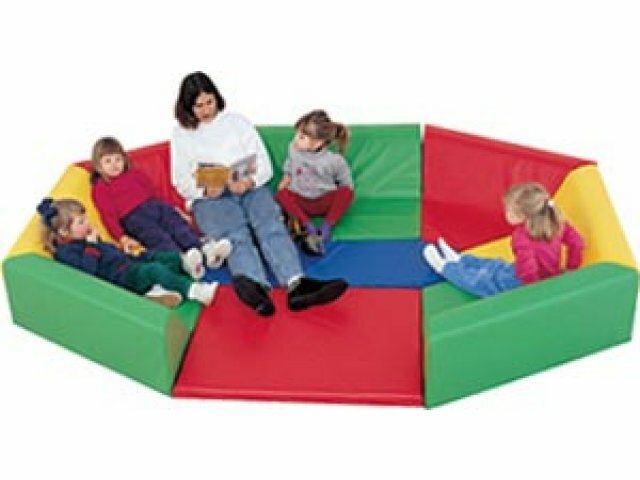 Fastens together with hook-and-loop fasteners to form an extra large reading or quiet-play area. Comfortably supports adults up to 150 lbs; foam will not get damaged even if someone heavier sits on it.